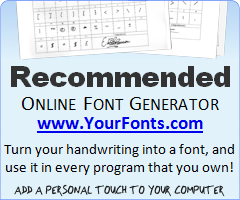 So you like our service and are interested in promoting YourFonts? That's great news because without people like you YourFonts would not be where we are today! Thanks for linking to YourFonts!